Section 25.D. provides for the replacement of all basic uniform items (utilizing annual point allotment) and one (1) of the following accessory items, when necessary due to normal wear at no cost to the Flight Attendant. Our annual point allocation is equal to 75 points and is credited based on a full 12 months of active service. If you had less than 12 months of active service during the previous calendar year, your annual allocation will be prorated based on the number of months of active service. 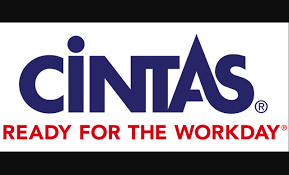 Points were credited to your Cintas account as of January 1, 2019 and are now available for your use. These points are good for a calendar year and, with the exception of being absent due to a medical leave, may not be carried over to the following year. Those on medical leaves of absence will have their accrued uniform points balance frozen for use when returning to active service from a leave of absence. Flight Attendants may view the available uniform pieces on the Cintas website. Please refer to Section 25 of our JCBA for additional information.